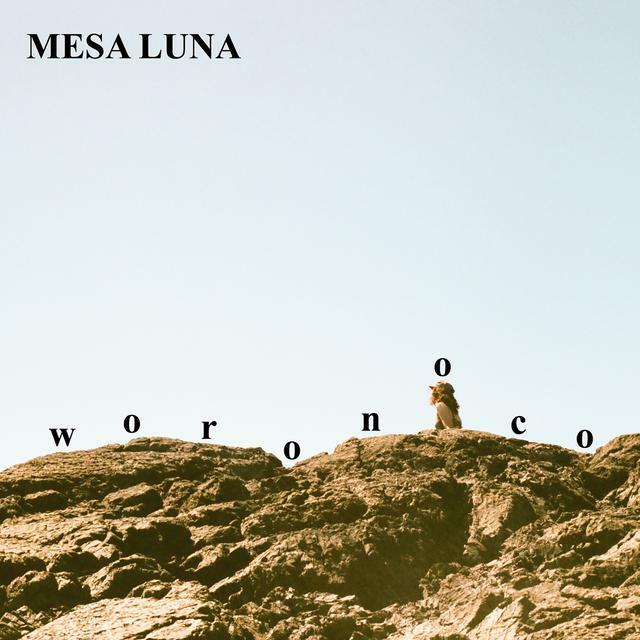 The last time we encountered Vancouver’s Mesa Luna was with the hypnotic, absorbing singles ‘Ruins’, ‘Don’t Let Go’ and ‘Church Garden’ a few years back – at that time, a duo featuring Justice McLellan and Alex Cooper (now of the PAVEL parish). 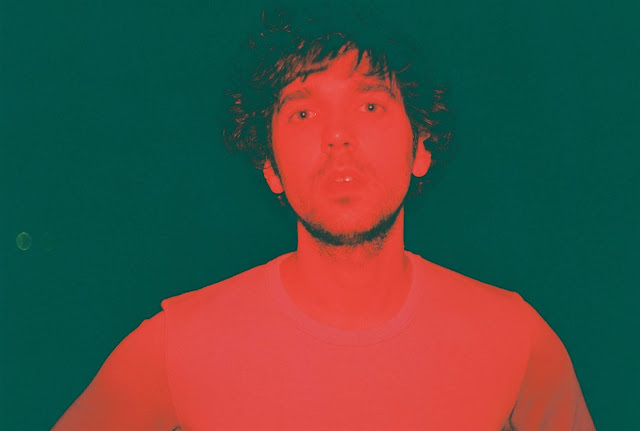 Today, Mesa Luna is the one-man dream-pop project of multi-instrumentalist, songwriter and producer, Justice McLellan who is preparing to release debut LP Lash; out March 22. The album is fronted by lead single ‘Dispel’ which proves Mesa Luna has lost none of its allure, zip and groove. Centred around shimmering synth, immediate riffs and rumbling bassline, ‘Dispel’ is submerged in dreamy, blissed-out vibes. Amid all the hazy atmospheres and dreaminess there is a doleful, melancholic air as the beat quickens – matched step by step by riff, synth and bass – ‘Dispel’ gallops forward leaving only dust (think early Foals and Boxed In). An exquisite and emphatic introduction. Tune into ‘Dispel’ below and remember Lash is coming out on March 22 via Afterlife Music. UK trio Patawawa spent the past 18 months or so carving out a rep for sublime, sassy and infectious, disco-infused charmers – and they are signing off on 2018 in similar fashion. It’s been a good year for the trio and Patawawa are ending on a high with floorfiller ‘Wires’. Armed with colossal four-on-the-floor beats, bouncing disco synths, bustling beats, funky organ and horns, ‘Wires’ brings the party vibes. Highly infectious and unequivocally danceable, it radiates an air of unquestionable coolness as it swaggers on a funky bassline and buoyant melody. And last but certainly not least, lead singer, Beth Garrett’s melodious vocal glides effortlessly over this solid disco groove. With a string of infectious, danceable disco groovers behind them already, hopefully we are hearing more of the same in the new year – and perhaps an album beckons for Patawawa? Whettman Chelmets is a Missouri-based producer with a preference for pensive, ambient and deeply atmospheric compositions. 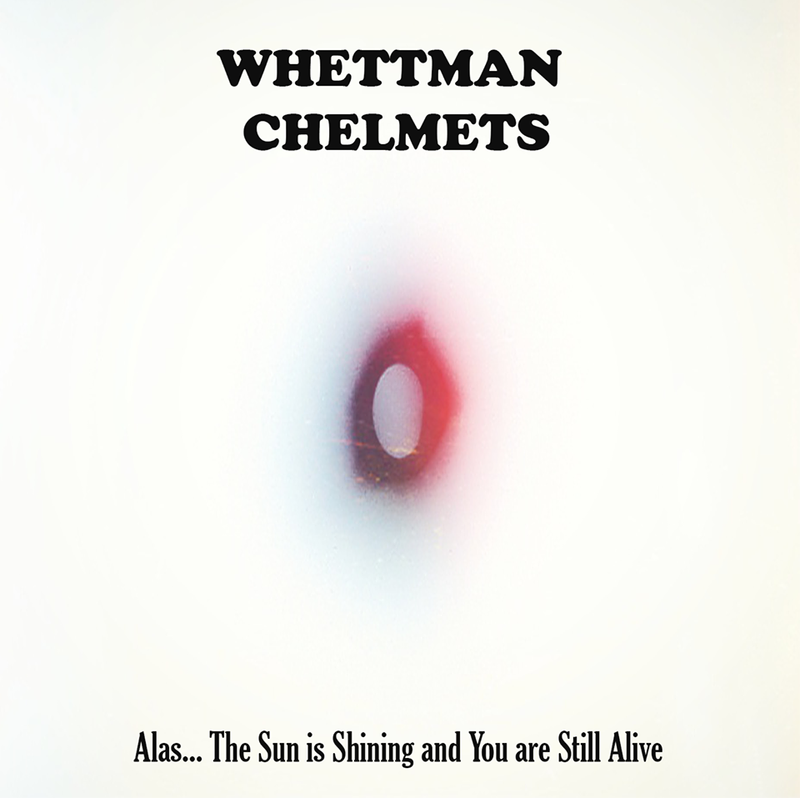 Whettman Chelmets’ new single ‘Alas…’ – the latest lifted from the recently released EP Alas… The Sun is Shining, and You Are Still Alive – is an immersive, atmospheric and elegant and all-consuming track. A steady 4/4 beat pushes through a slowly building, all enveloping meditative vibe as the melodic interplay between the twinkling guitar chimes and glistening synth comes to the fore amid heavenly chanting and ebb and the flow of sound and emotion to create a mildly euphoric and uplifting swell. A blissful, enthralling and beautiful track. Listen to ‘Alas…’ below & if you like that, you can fine the entire EP here. Jouska is the Oslo-based musical duo consisting of Marit Othilie Thorvik and Hans Olav Settem. 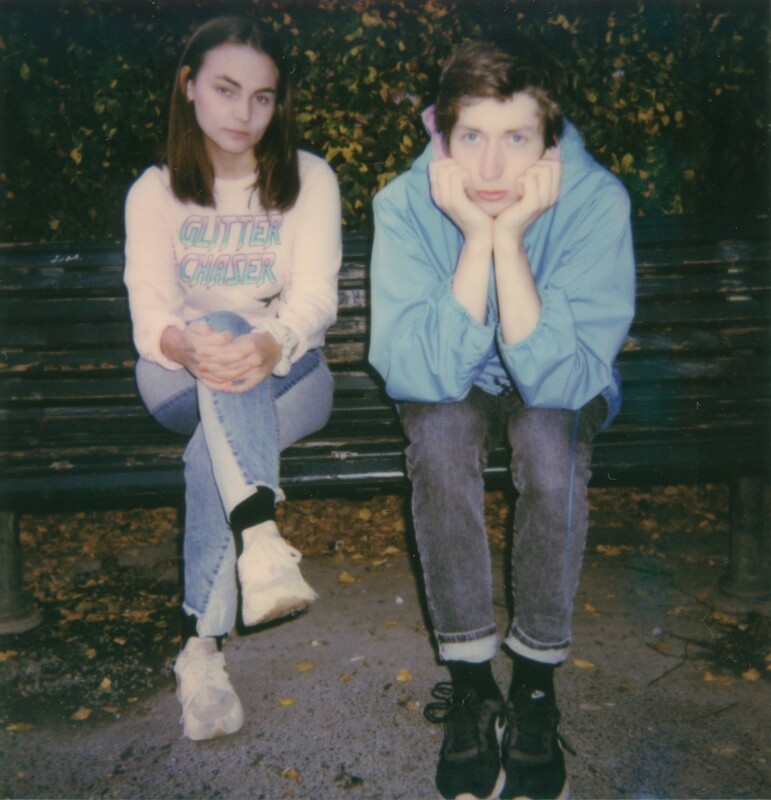 To date the pair have impressed with an intriguing and inventive array of singles and debut EP Frog Fiction, as they explore some of the more leftfield, out-there reaches of electronica. Brand new single ‘Glitter Chaser’ takes on a similarly stellar expedition to the realms of their imagination. 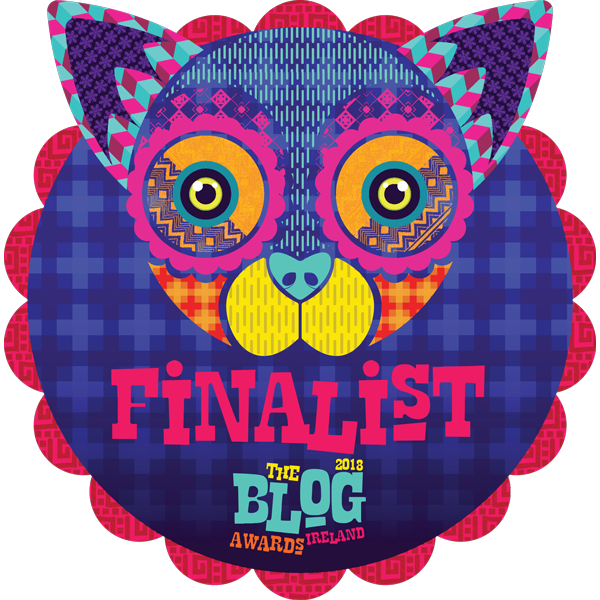 Tempered by an airy/spacey atmosphere ‘Glitter Chaser’ sets forth in a sea of kaleidoscopic colour, brimming with divine harmonies and packed with crunchy beats and groovy synths which coalesce to create a super smooth, playful yet dreamy piece of cosmic electronica. Amid the alluring dreamy soundscape a final touch of bewitching beauty is provided by the heavenly vocals. Jouska’s music is refreshingly inventive and exploratory, qualities marked out by both this and their aforementioned previous EP. Listen to ‘Glitter Chaser’ below now – and you can tune into their debut EP Frog Fiction right here. Wovoka Gentle are Imogen Mason, Ellie Mason and William J. Stokes, a trio from London, they craft a colourful confection of neon bright sounds as they hop between genres and styles drawn from a melting pot of influences into a striking blend of understated indie, with an electro groove at its heart. 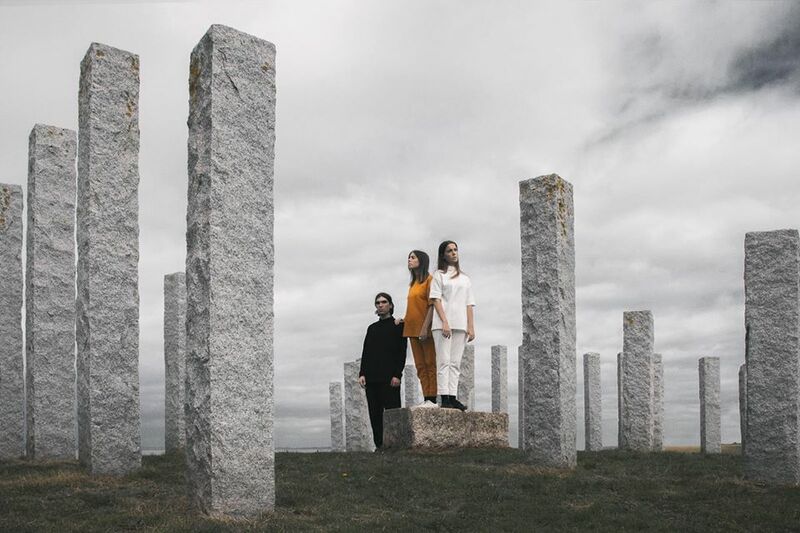 The trio’s latest single ‘Peculiar Form Of Sleep’ captures this aesthetic perfectly. Effortlessly catchy, upbeat and bursting with vitality, wonderful vocal harmonies float above a relentless, surging synth pulse and dance beat. as it saunters it’s way along a slinky electronic groove. 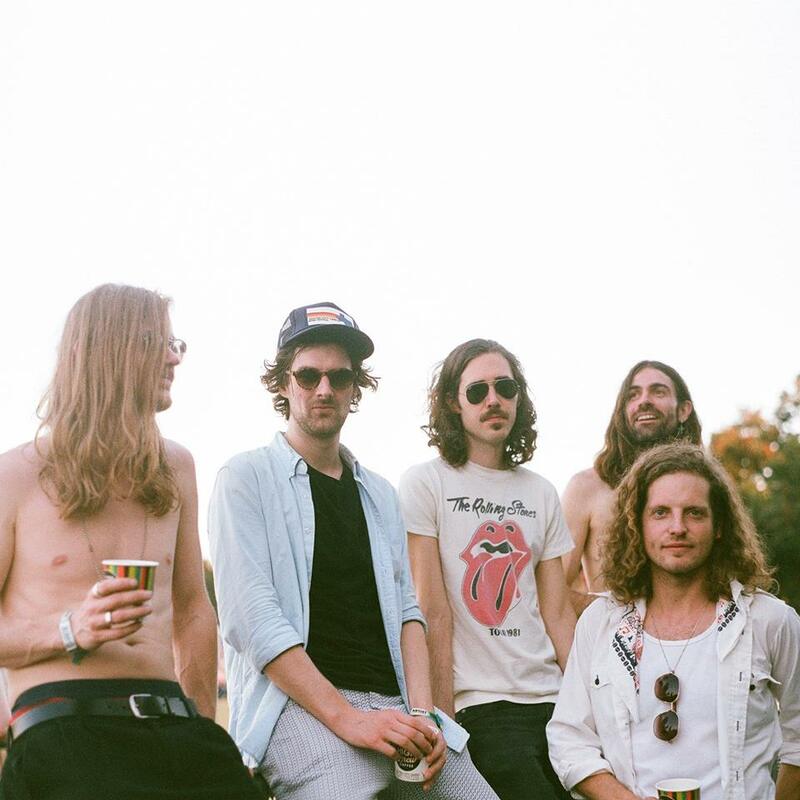 Anchored by alluring sunny harmonies and infectious, off-kilter melodies, not only is it a real groover but this is electrifying, neon bright indie music to dance to – and pure magic! 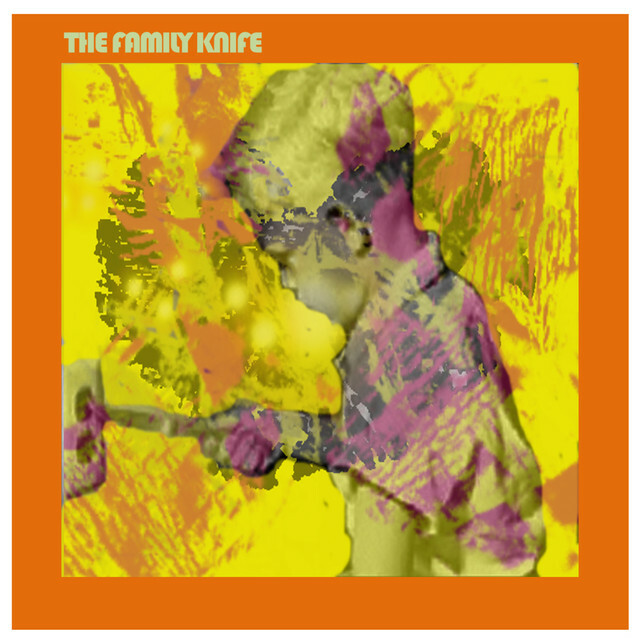 The Family Knife are an indie/electronica outfit from Dublin and these siblings are the purveyors of hopeful tunes, tinged with sadness – an aesthetic set out rather beautifully on their self-titled debut LP. The album is a collection of 12 organic and electronic driven tracks, influenced by everyone from Deerhunter and Yo La Tengo, to Stereolab and The Beta Band, and its lead single is album closer, ‘Don’t Wanna Give Up’. Slowly building from mellow origins, it introduces itself with a breezy jangle, deftly plucked strings and soft, semi-hushed vocals before the drums make a splash, joined in turn by a whispers of vocal samples and a full on synth-driven finish. A beautifully mournful and melancholic tune, like a November sun breaking through a dreary dusky sky. You can listen to ‘Don’t Wanna Give Up’ below – and if that is floating your boat, the album is available to stream here. 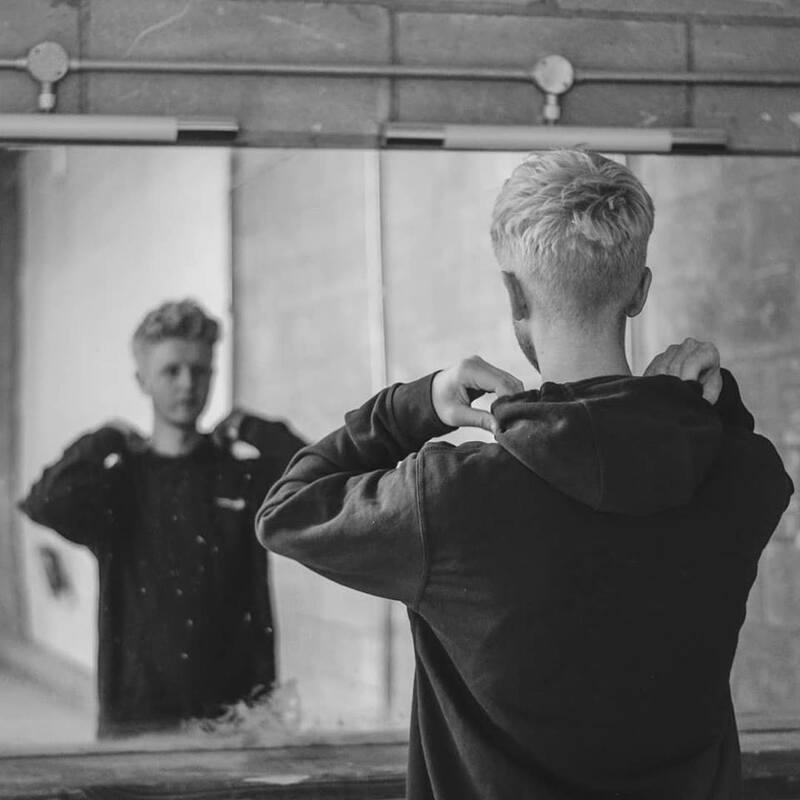 Oli Hannaford is an East-London based singer, songwriter, producer and multi-instrumentalist, who appears to have a real knack in the way of captivating, soulful, electronic alt-pop. Lifted from his forthcoming debut EP, ‘Clarity’ sets out this stall in remarkable fashion. A smooth and polished piano led stroll through slick, textured production, flickering synths and flecks of electronics. Amid the undeniably infectious groove and otherwise pristine and sparkling production however, a sense that all is not right bubbles away as an uneasy, melancholy atmosphere is created Hannaford’s unsettled lyrics and mournful vocals. The juxtaposition of light and dark moods is one that works a treat, remarkably well in fact. A compelling listen that is both smooth and emotionally complex. Ten Fé have been busing themselves in the studio working on a follow-up to their 2017 debut album Hit The Light. The London-based outfit have shared new single ‘Not Tonight’, affording us a first glimpse at how the new record is shaping up. 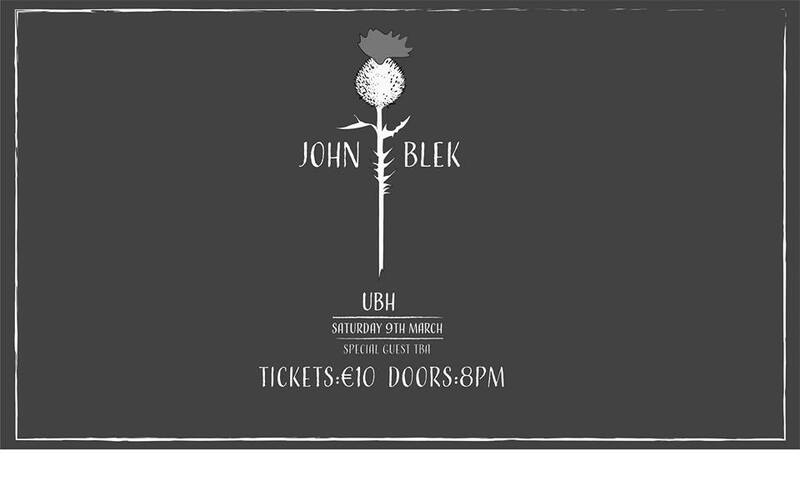 While now a fully-fledged five-piece outfit with Rob Shipley (bass); Johnny Drain (Keys) and Alex Hammond (drums) coming on-board full-time last year, the chemistry between songwriters Ben Moorhouse and Leo Duncan – evident throughout their debut – continues to shine bright in this latest offering. 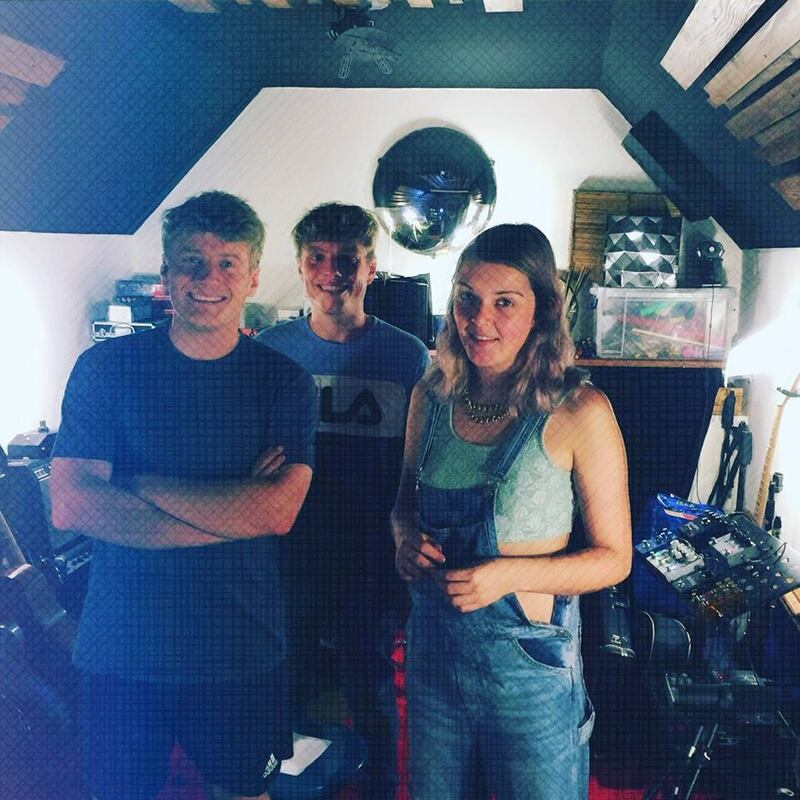 Lush, expansive and cinematic, their brand of ‘indie-music-to-dance to’ continues to blend Springsteen-esque guitar lines with uplifting, Screamadelica-era style vibes and all delivered through the band’s uplifting popcraft. 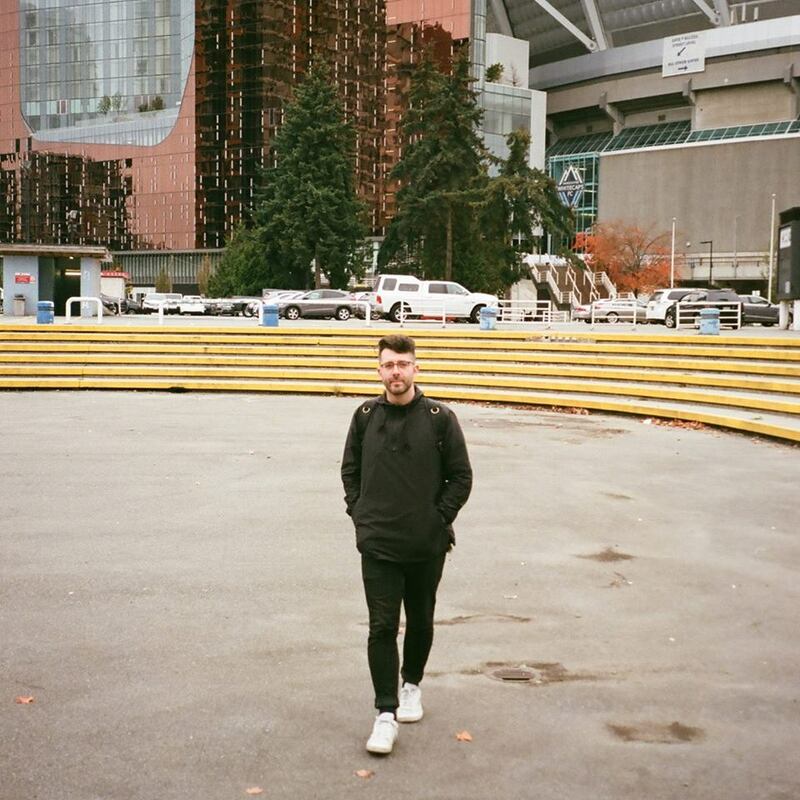 Brooding tension ricochets off euphoric heights and heavenly vocal harmonies, while the production of long-time collaborator Luke Smith adds characteristic electronic flourishes and motorik groove. Living in a sonic world of their own, Ten Fé prove yet again to be masters of doing their own thing. Sounds like that new record is shaping up very nicely indeed. Hailing from Portugal, Niki Moss is the musical guise of Miguel Vilhena, a multi-instrumentalist, producer, lead vocalist for the psych-rock band Savana and founder for the record label Pontiaq. ‘Soylent Green’ is the first single to surface from what will be Niki Moss’ debut album, penned for release later in 2018. Playful, off-kilter and uber-catchy, ‘Soylent Green’ grabs you from the off and never lets go. Fluid, melodic guitar lines duet with airy vocals come together to make for the perfect, enticing introduction. Joined then by irresistibly infectious spurts of synth riffs and keys, it gets its hooks in and doesn’t relent. ‘Soylent Green’ is three minutes of flashy, neon bright synth-pop, buoyed by an electric energy and filled with an irresistible aesthetic. ‘Soylent Green’ is the first single to surface from what will be Niki Moss’ debut album, penned for release later in 2018.